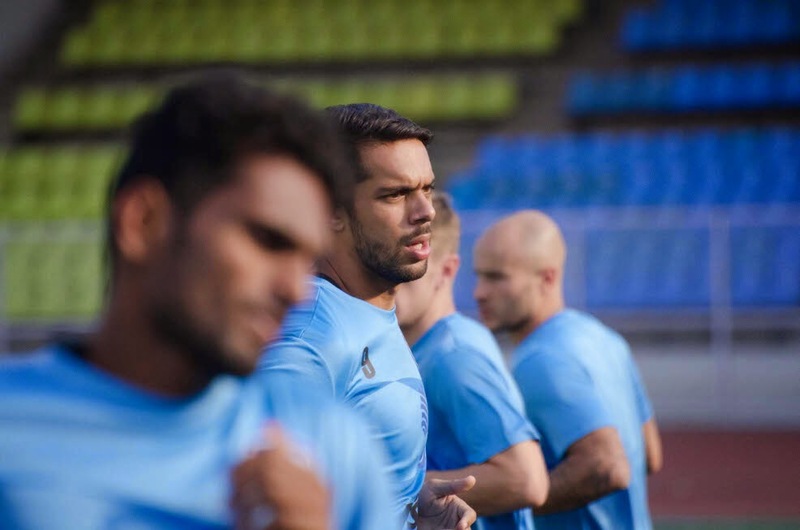 A severely depleted Bharat FC host in-form Bengaluru FC in the Round 19 match of the I-League football championship at the Balewadi Sports Complex ground here on Friday. Ashley Westwood’s team had, only two days earlier, blanked Pune FC 2-0 in a performance that left little to be desired and a win against the League’s newest side will take the Blues to second on the table. Coming in to the match after 1-1 draw against Shillong Lajong FC, Bharat FC will be looking to score past the defending champions Bengaluru, who haven’t done anything wrong so far despite playing in India and abroad. While the gaffer lauded the team on the way they went about the win, he admitted the Blues would have to churn out an encore on Friday if they are to take away anything from the game. “On Tuesday, we came with a plan, executed it and got the job done. But we are well aware that the game against Bharat will be a tough one given the fact that we will be up against a side who have one of the best defensive records in the League. They may not have won as many games as they would have liked to but there’s many occasions where they came close to turning a draw into victory. We will have to reproduce a high standard of football if we are to take anything away from this game,” said Westwood while addressing the press on Thursday. A Eugeneson Lyngdoh wonder striker separated the two sides when Bharat traveled to Bengaluru early in the season. Bharat, meanwhile, have to contend with three suspensions in defenders Dharmaraj Ravanan, Gouramangi Singh and goalkeeper Arindam Bhattacharya. The race to the title was handed a twist on Wednesday when Dempo scored a dramatic late winner to down second-placed Royal Wahingdoh 3-2, in Goa. Earlier last week, the Shillong side beat leaders Mohun Bagan in similar fashion and an identical scoreline to throw things open. But while Westwood believes the title is Bagan’s to lose, he is confident that the Blues’ form should stand them in good stead at the end of it all. “We expected Wahingdoh to lose games. They are not a consistent side. As for Bagan, they have got it all to lose. Whether they can remain consistent, we need to wait and see. In my opinion we are the best side in the League. Our form across the League, the Federation Cup and the AFC competitions is incredible. Whether it’s enough, we need to wait and see,” said Westwood. The game kicks off at 7 pm and will be telecast live on Ten Action.